I am striving to become an artist who can tell a story or express an idea in a beneficial way. In the last couple of years, I have decided that I must tell a story. My most recent work has been stories of childhood nostalgia. I am drawn to childhood experiences; including my own, one’s I wish I had, and the attitudes I now notice in youth. I find the carefree, playful world of children is a time to be cherished and I strive to narrate a story about that world. 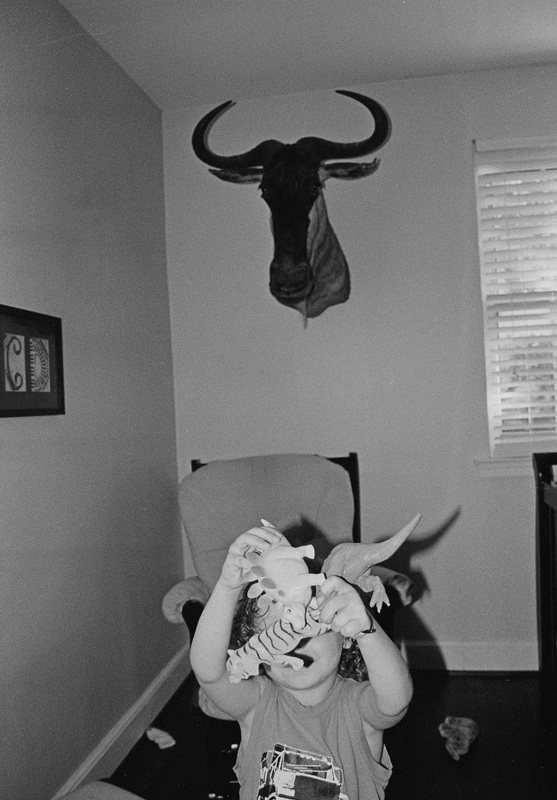 I have been inspired by Garry Winogrand's Zoo photos to work on a series about people's interactions with animals. I believe this links with my interest in childhood nostalgia as well. Children interact with animals like friends and equals. The concept of time is found within my mixed media work. Children desire to grow up. Adults yearn to go back to a simpler time. In the grand scheme of things, childhood is fleeting; the time to be playful and life without responsibility is dwindling.